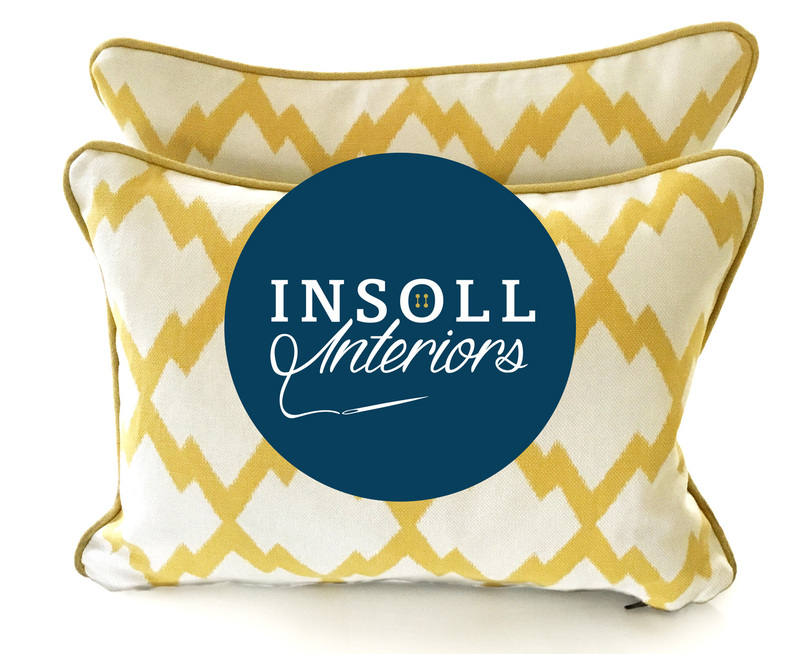 Logo design for Cornwall based interior design studio Insoll Interiors. 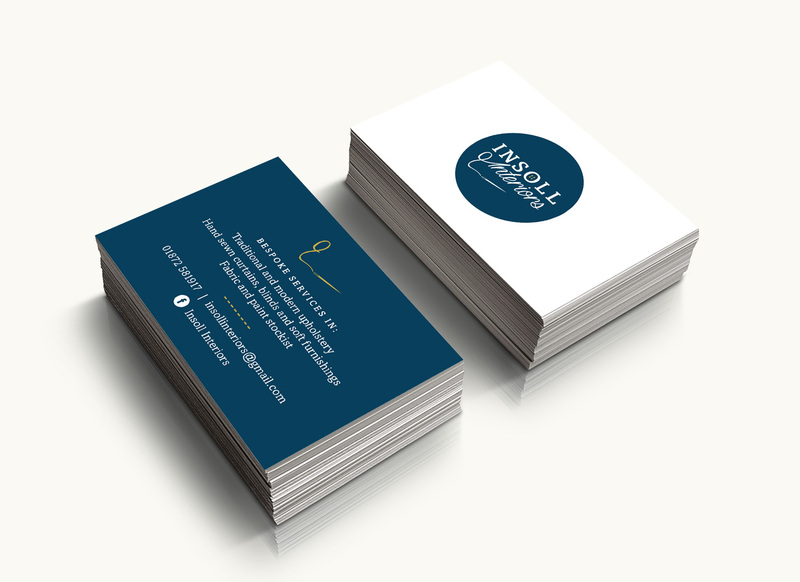 It was an absolute pleasure to work with locally based interior designer Gemma Insoll to develop a visual brand for her business Insoll Interiors. Gemma was looking for something modern and elegant with a 'made by hand' feel to reflect her work. We decided upon a dark blue and gold colour combination for a touch of class and added button hole and needle and thread elements to the wordmark to bring the logo to life. So far, the new brand has been used to create beautiful stationery, signage and a promotional flyer - and we couldn't resist creating a version of the logo to use as a rubber stamp. We are looking forward to developing the brand further in both print and digital.